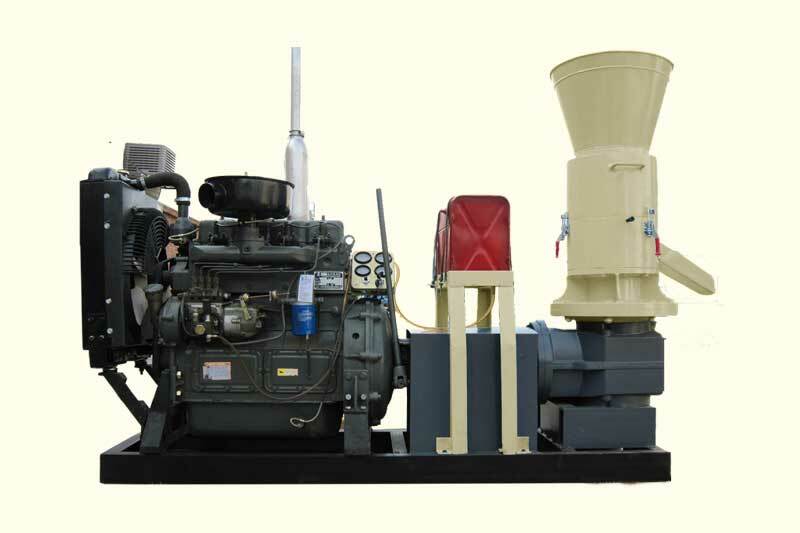 Flat die pellet mill generally has two types: R-type and D-type. D-type flat die pellet machine has wide application in residensial and farm use. In the D-type small pellet making machine, the pellet mill die is horizontal with a series of rollers on it. When making pellets, the flat die rotates, and the small pelletizing machine rollers are driven to revolve on its own axis. Thus, the small pelletizer machine rollers compress powders of raw materials into the small holes of flat die to form pellets. Once the pellets emerge on the other side of the die, a series of rollers would cut them into the same length. Thus you get your well-shaped pellets. 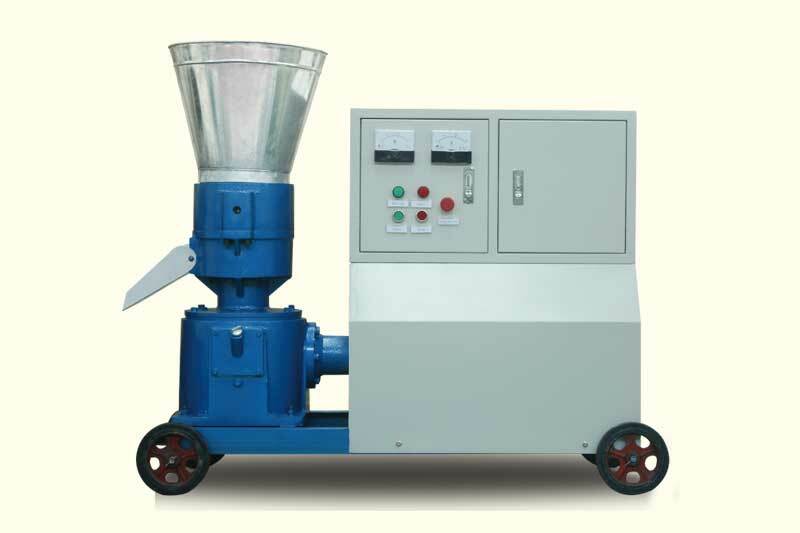 Flat die pellet mill of R-type has larger pellets capacity compared with D-type flat die pellet machine. The pellets made by R-type small wood pellet machine is mainly for sale and business, or we can say small industry, as these pellets have more smooth surface, higher density and longer lasting energy. Besides, the structure of its rollers and die and the pellets making process is also different from D-type. 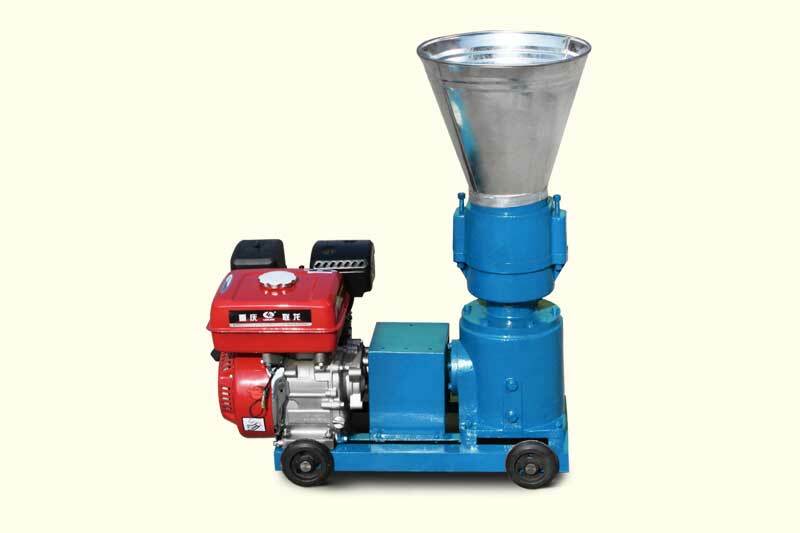 The small pellet machines for residential and farm use , mainly the flat die pellet mill is most common. 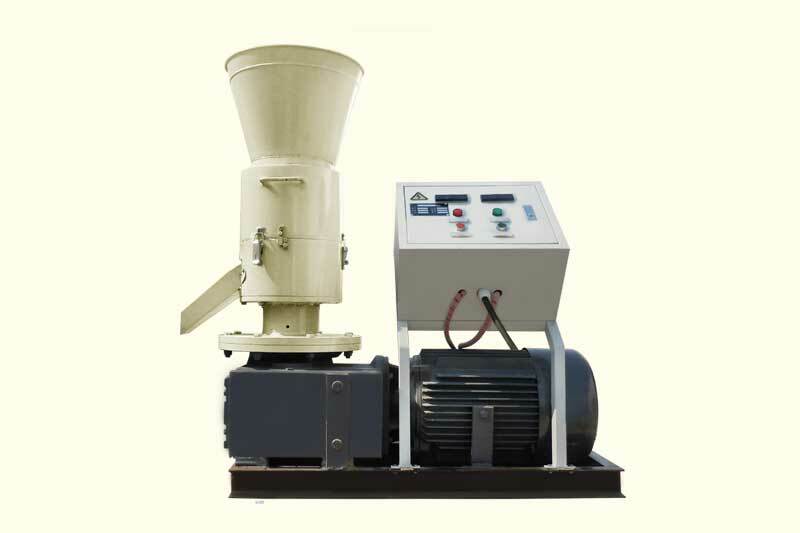 This kind of small pellet making machine was first invented in the early 20th century to make feed. However after improving the quality of pellet press die and rollers to handle additional pressure, the pellet press became suitable to produce wood pellets from biomass materials such as sawdust, straw, stalks and grass. PTO Pellet Machine: Usually on a tractor or truck, a power take-off (PTO can be used to provide power to an attachment or separate machine. Our pellet machine PTO is designed to be easily connected and disconnected. The power take-off (PTO) allows implements to draw energy from the tractor's engine. When making pellets with R-type flat die pellet mill, or we can say, small wood pellet machine, the die inside the machine is totally statinary, while the rollers are rotating and revolving on its own axis. Thus, we can call this kind of small pellet machine rotating roller pellet mill as well. The rollers press raw materials into the holes of the die to form pellets. And a series of knives on the other side of the die cut the emerged pellets into the same default length. There are two designs of the flat die pellet mills or small pellet making machine, One version of the small wood pellet machine has a rotating die while the other has rotating rollers. 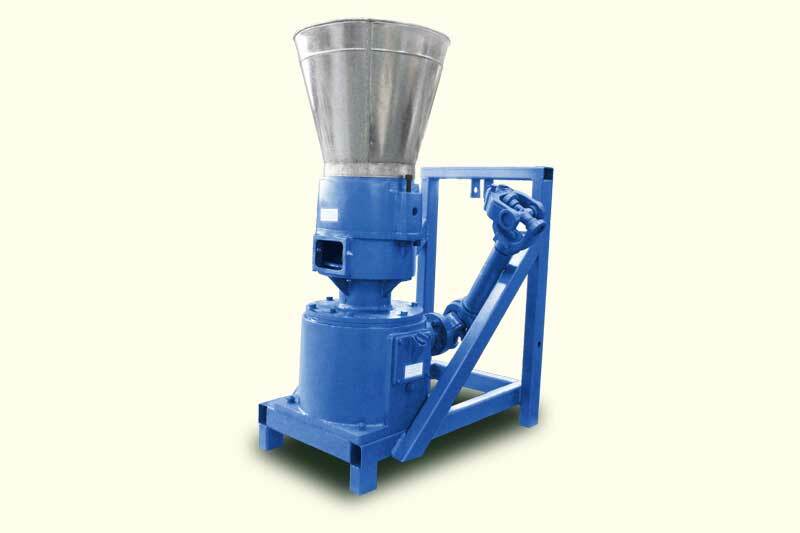 In more details, the first type of these small pellet mill for sale has a stationary roller shaft with a rotating die create wood pellets. The second design has a stationary die with a rotating roller shaft so that the rollers spin to force the feedstock through the holes of the die which are then condensed into wood pellets. 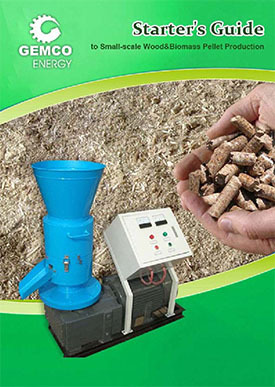 There are two advantages to the small wood pellet machine with a rotating roller design. One is that the rotating roller has much longer service life than the traditional design--about 2000 hours. Furthermore small wood pellet press machine produced by the rotating roller design are much longer, of up to 3 centimeters or more. The flat die pellet mill or small pelletizer machine are easier to clean than the ring die pellet mill. Able to change pellet mill spare parts, die and roller faster for more time to produce pellets. Small and lightweight, which makes small-scale production possible. Visibility, to viewing the material during pelletization as the best way to fix problems. 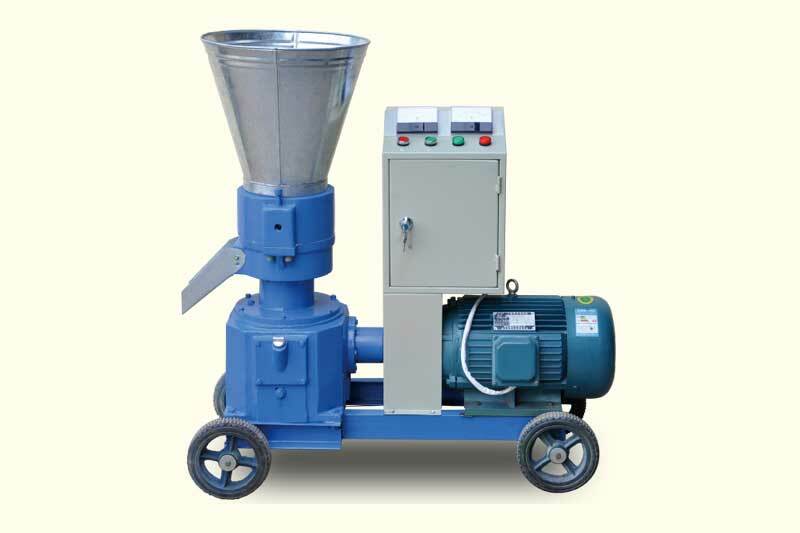 A: How to operate a small pellet making machine? Q: View the videos below and learn how to install, lubricate, run a small pellet press and the way of changing spare parts. A: Where to buy the pellet mill spare parts? Q: ABC machinery offers you quality pellet press machine for sale as well as pellet mill spare parts. All of our products, including pellet mill spare parts have past the CE and ISO9001. Basically, the wearing parts of small pelletizing machine are die, roller and bearings. 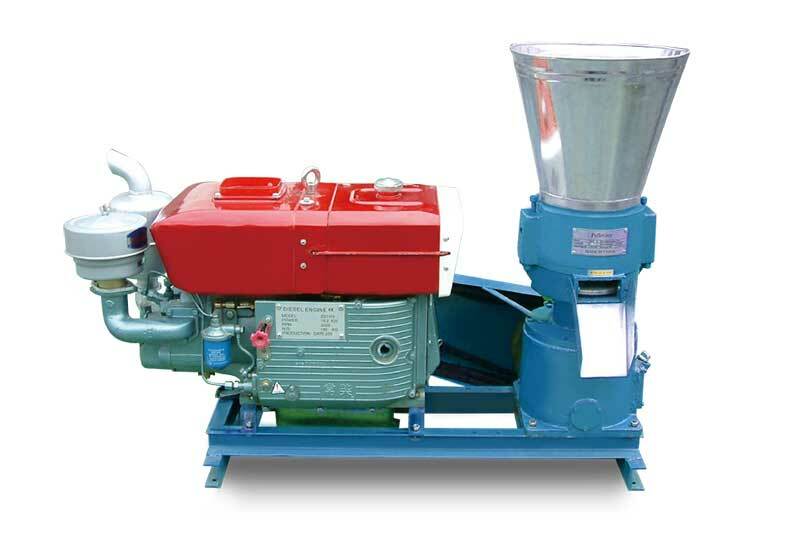 We highly recommended that you purchase our pellet mill spare parts if you already have purchased our biomass pelletizing machine. But if you have pellet machines of other brand, you can choose our pellet mill spare parts, too. For they are all meet the international standard. A: What kind of service can you offer if I bought your pellet mills? Q: We give free consultation, raw material test, precise budget and customized design. We can also pre-grind the pellet machine if you need. We also offer 1 year quality assurance from the date of goods shipment (not including wearing parts). Within 1 year, we fix all the problems of your pellet mill that are not happens because of improper operation. If you are interested in our products, please feel free to leave messages below. Our professional staff will give you answers in 1 workday.